While initially many people expected the outage to be fixed within a few minutes, it has now been hours since the first problems were noticed. It is unknown if any of the data will be lost due to the outage, but previous outages in the past have not resulted in lost data. However this outage is much more widescale that most Analytics issues. Google has posted an update on their Apps Status Dashboard. Update 7:15pm: While the apps page has not been updated, Google Analytics has started to come up for some users, and it does show data from the duration of the outage. Update 7:50pm: It appears not all users are able to access Google Analytics yet, Google plans to provide an update at 10pm. 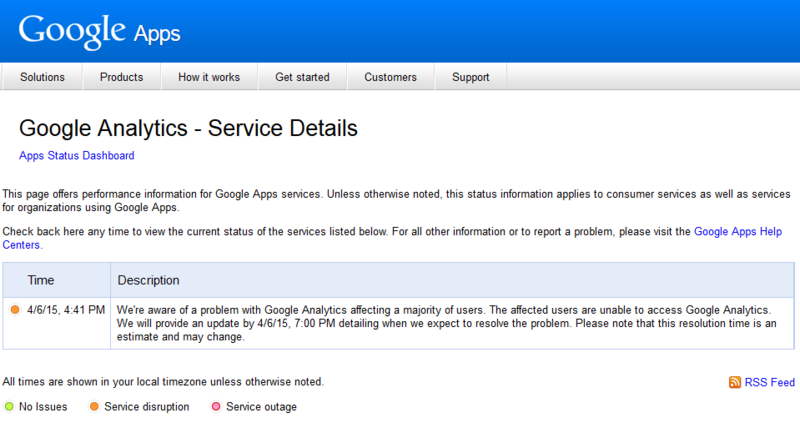 Update 9pm: Google Analytics is back to business as usual.